Before They Were Stars: Kanye West was born to the late Dr. Donda West, an English professor, and Ray West, a counselor. Young Kanye was transplanted to the Chicago suburbs and raised by his mother after his parents divorced. After dropping out of art school, West attained early success as a producer for artists like Alicia Keys, Jay-Z, and Ludacris. Where Are They Now: West’s 2004 debut album The College Dropout won numerous Grammy awards and has been followed by four more wildly successful studio albums. In addition to a music career, West owns several Fatburger restaurants in Chicago, designs clothing and shoes, runs a charitable foundation, and is prone to the occasional awards show outburst. He’s also engaged to reality star Kim Kardashian, and the couple recently welcomed a baby girl, named North West. Snakkle Snippet: Ever the clotheshorse, Kanye applied for internships at several European fashion houses in 2008. Snakkle Buy: Download Kanye West’s latest album, My Beautiful Dark Twisted Fantasy. 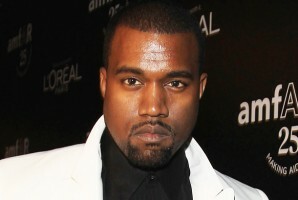 Hip-hop hit maker, style icon, awards-show crasher, controversial media figure … yep, that’s Kanye. Love or hate him (or his music), there’s no getting around just how influential he has been on popular culture. Let’s look back at his journey thus far and try to get to the bottom of just what makes Kanye tick.